Posted in BI Industry, DataZen, Microsoft BI Platform, SQL Server, SQL Syndication. Last week Microsoft announced that they had acquired the DataZen mobile BI platform and were adding it to their enterprise BI product suite. This is very exciting news that rounds out the Microsoft BI capabilities of their entire product portfolio. What’s more, is that they plan to make if free for SQL Server Enterprise customers who have Software Assurance agreements. I presented a session at the PASS Global Summit in 2013 showcasing DataZen called “New York, London, Paris Munich; Everybody’s Talking About Mobile BI”. A product team leader in the Microsoft BI Visualization team had introduced me to DataZen and recommended I take a look. This led me to recommend that we evaluate the product for one of our enterprise BI clients and to talk about my experience in the conference session. My response to the Microsoft team was to recommend that they acquire DataZen. Whether I actually had anything to do with this product acquisition or not, it does give me a sense of satisfaction to know that it is now part of the Microsoft family. So, what, exactly is DataZen and what are its capabilities and challenges? I have built a DataZen server with the latest version and I’m in the early stages of evaluating the product. I’ll update this article with my findings as my investigation continues. I conducted a thorough evaluation of DataZen for a consulting client a little under two years ago and I’ll share that experience. The product has evolved forward since that time. Until the Microsoft acquisition, DataZen Mobile BI was a division of Component Art, a developer of Application development controls and visualization components. The developer components market has many big players like Infragistics and Telerik but Component Art has been exclusively supporting the .NET development market since the conception of the .NET Framework and they lead the space in providing visually stunning charts and other widgets specifically suited for visualizing data. The DataZen server and services model is a bit like Reporting Services in that it’s an entirely scalable services layer consisting of Windows services and web services that provide separate authentication, data connectivity, rendering and data caching. You will typically build a dedicated server to host published content. Data results for the dashboard queries are cached and can be refreshed frequently but the platform isn’t really designed for real-time analytics. Queries can be filtered using parameters which utilize slicer-type pick lists and simple drill-through actions. The server currently does not require a SQL Server installation (although this might change as Microsoft integrates the product). DataZen uses IIS and does not require SharePoint or any other products other than Windows Server. I really like the DataZen approach. It’s more that just a place to host dashboard-style reports. DataZen allows every user to use the device of their choice to view important KPIs at a glance, to drill into detailed and interactive dashboards, discover data insights and collaborate with other team members using threaded discussions in a true social media kind of environment. I found the server setup to be a bit of a bear and it took a few calls and interactions with DataZen support to get it configured and setup correctly. Errors weren’t easy to understand or resolve. The documentation covered basic features but didn’t address common setup challenges. The unintuitive errors and corresponding work-arounds made me question the stability and maturity of the platform but once they were resolved, it seemed to be reliable. I’m currently contenting with a data source authentication issue which is blocking me from proceeding. Thanks to a second pair of eyes barrowed from Davide Mauri, we’ve worked out the data source configuration and I now have three data sources configured and working great. These include: SQL Server 2014 relational, SSAS 2014 multidimensional and SSAS 2014 tabular. The issue was actually quite simple. I had explicitly entered the credentials for a service account and found that if I removed the user name and password and then indicated “Integrated Security”, the connection uses the identity of the Datazen service account. I set all three DataZen services to use this account and then granted Read permission for each database instance. This seems to be the easiest and most reliable method. 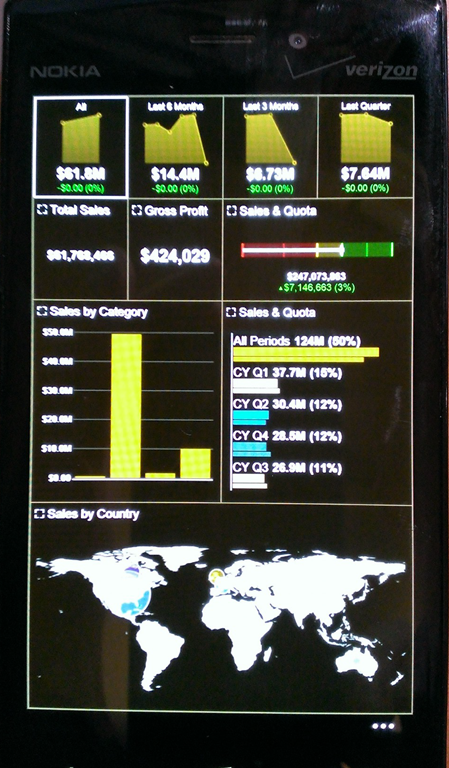 The dashboard design and usability experience is awesome so from a user perspective, this tool totally rocks. The Component Art folks really get usability. The dashboard designer is a separate app that requires Windows 8 or higher. A couple features I really like are the the drag-to-grid design experience. The dashboard controls sit on a user-configurable grid which can be any size you want. When designing a dashboard, users drag or draw each component to align to the grid cells so it aligns perfectly with adjacent controls. When the dashboard is rendered to a a different layout- like a phone, the controls automatically adapt to the appropriate orientation and layout. Device support is universal across all platforms. DataZen has client-side apps for the iPad, iPhone, Windows 8+ (Metro) tablet, Windows 8+ Phone, Android and HTML5 for devices connecting directly to the server. The apps are available from the respective app stores and are all free. Each app connects over HTTP or HTTPS to any number of DataZen servers. At the time I evaluated DataZen, I was able to create dashboards that used an Excel workbook, SQL Server, Analysis Service multidimensional & SSAS tabular. 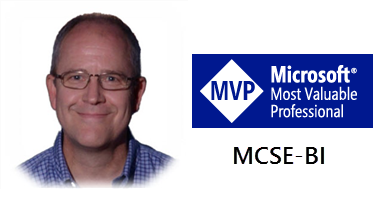 It was a apparent that whoever designed the SSAS data source adapter didn’t know much about MDX or SSAS queries. I was not at all impressed with the limitations for SSAS queries and I sincerely hope this has been improved. The problem was that a dashboard could only consume members returned on the Columns Axis and not on Rows. Although manageable, this required a tedious work-around to define calculated members for every member placed on Rows. When I get connectivity sorted out, this is the first thing I’ll test and update this review accordingly. 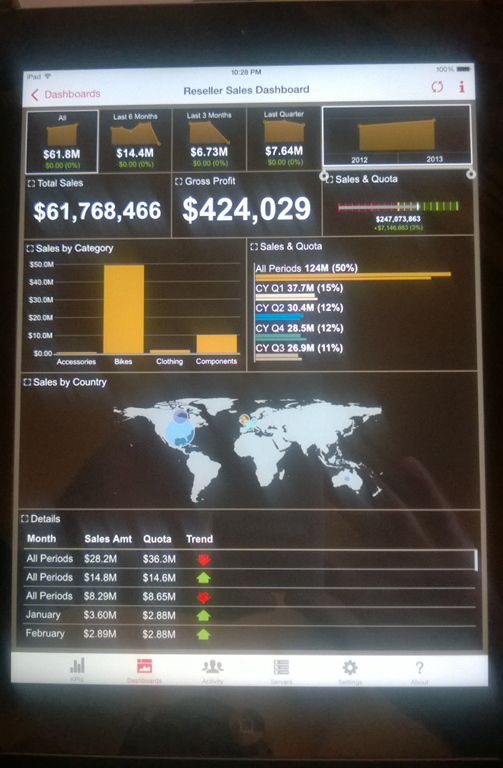 A dashboard can be viewed in the DataZen app for Windows 8.x Metro, Windows Phone, iPad, iPhone, Android and through the HTML viewer directly from your server. Every rendering is highly-interactive. Every dashboard can have three different layouts optimized for the desktop, tablet or phone. Once the main dashboard is designed, adding the other layouts it’s a snap. Map and shape support is quite impressive. They were in the process of extending map support when I originally evaluated the product and have delivered on this promise. Out-of-the-box, DataZen comes with the same basic geographic shapes we’re accustomed to seeing in Reporting Services and other tools. Based on common geographic keys and shape names in your data, a dashboard can render any ERSI shape file (which could include building floorplans, CAD drawings or geographic boundaries) with dynamic hover-over highlighting and tooltips with data details. Very nice. Setting up DataZen and getting started with data sources, queries and dashboard design is going to frustrate novice users and keep some BI consultants busy. Of course this is good or bad news depending on which side of the consulting fence you reside. As a BI consultant, I say this a bit tongue-in-cheek but it’s true. Until you work-through this process, it’s not going to be easy. After you’ve done a few of these, it’s actually not so bad. the good news is that the user experience is quite impressive and well worth the investment. 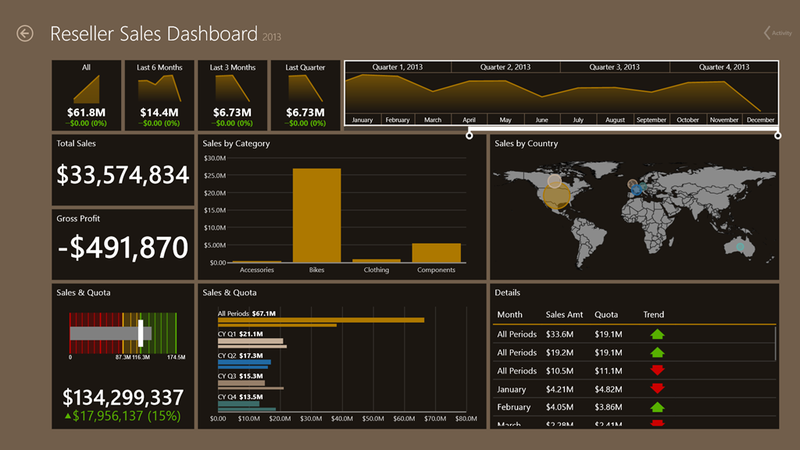 Dashboard designer snap-to-grid experience is excellent Designer requires Windows 8+ “Metro” style app. Responsive rendering adapts to desktop, tablet and phone layouts Server setup and configuration is unintuitive and cumbersome at first. General dashboard usability is excellent Dashboard design is an IT effort or for someone intimately acquainted with the designer tool. Posted in Data Visualization, Microsoft BI Platform, Self-service BI, SQL Server Pro Magazine, SQL Syndication. It was a great honor to be asked to join my associates from SolidQ at the Microsoft Virtual Academy Studios in Redmond and talk about how to upgrade to SQL Server 2012 and 2014. These recordings, which are also on my YouTube Channel, include the material I covered in these sessions. The entire series of studio presentations are hosted on Channel 9 and here at the MVA with accompanying assessment surveys and resources. Posted in SolidQ, SQL Server, SQL Syndication, SQLServerPedia, SSAS Administration, SSAS Design, SSRS Administration, SSRS Design, Tabular Models. Posted in Dun & Bradstreet, Microsoft BI Platform.